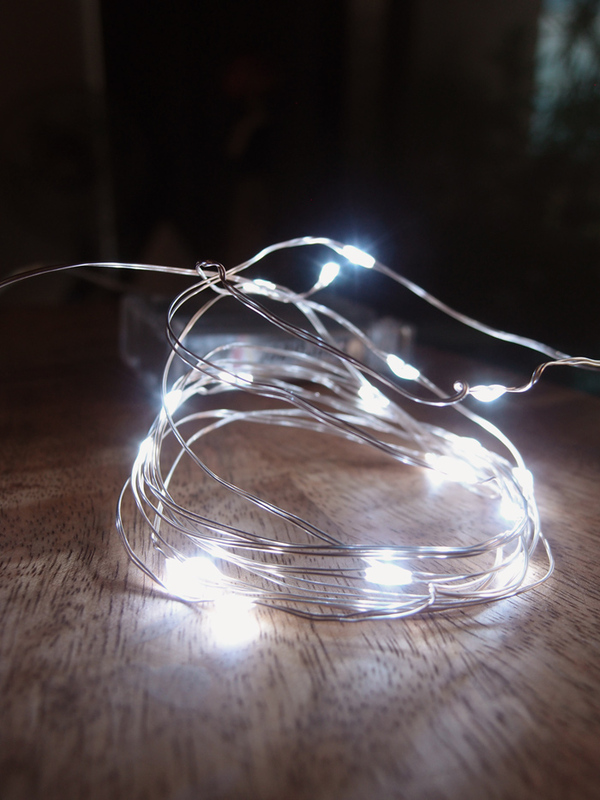 This battery operated waterproof string light utilizes 20 White micro LED lights on a flexible moldable silver vine that can hold it's shape. The LED lights are the size of dew drops. You can wrap it around flowers or branches in or out of water! That's right, you can submerse the lights in water to bring your arrangements to life. Total length is 90 inches. LED's are spaced out every 4 inches. Battery compartment measures 2 inches long x 7/8" wide x 1/4" thick! We shrunk down the battery compartment to make it easier to hide. 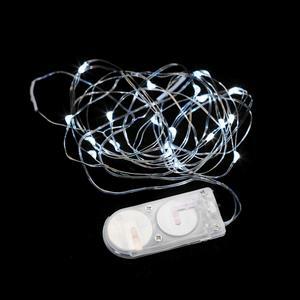 This fairy light string light is ready to use out of the box and can be easily turned On/Off by the switch that is on the battery compartment. It uses 2x CR2032 batteries which are included and are already installed. The batteries are replaceable. The intelliFlame LED lights are fun, safe, and wind proof. 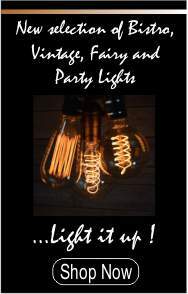 Perfect when you need an alternative for candles in order to meet fire codes or to avoid the dangers of an open flame.